Nursing home care is extremely expensive, and even a relatively short stay in one has the potential to wipe out a patient’s entire estate. For this reason, many people who are going into nursing homes take steps to establish and preserve Medicaid (https://www.medicaid.gov/) eligibility so that government benefits at least partially subsidize their care. NAELA argues that while Medicaid application services that prepare applications on behalf of patients perform a valuable function, the fact that their staff is not trained to analyze eligibility can result in the loss of important rights for nursing home patients. In addition, many of these services advertise the fact that they offer “comprehensive Medicaid planning services,” can help patients navigate the Medicaid rules, understand and have expertise in Medicaid law and procedures, and have familiarity with local Medicaid staff. In reality, their own contracts limit their services to assistance with the application and require their clients to acknowledge that they are not receiving legal advice or services. According to NAELA, this disconnect between their promises to consumers and the agreement into which they enter belies the fact that their primary interest is in helping nursing homes ensure that their residents are Medicaid-eligible, not ensuring best outcomes for residents. 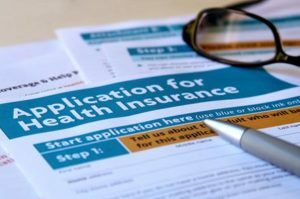 Help with a Medicaid application is no substitute for the comprehensive planning that an experienced lawyer can provide. At Goldfarb Abrandt Salzman & Kutzin LLP, we have represented the rights of older adults for more than 25 years and are committed to helping our client prepare for the future and protect their assets. To schedule a consultation with one of our Medicaid attorneys serving New York, call us today at (212) 387-8400 or contact us online.